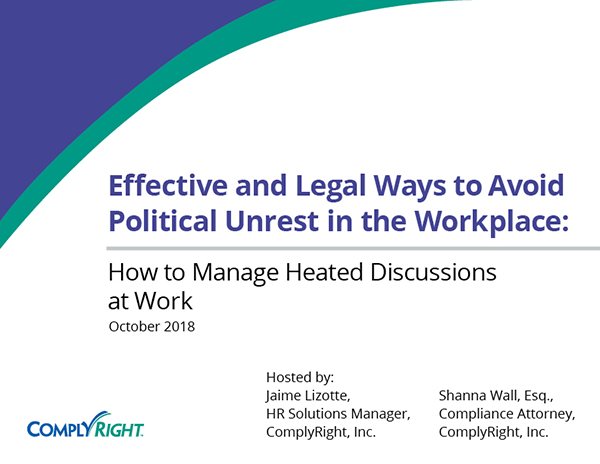 Political debates can sometimes spill over into the workplace putting employers in a tricky situation. What can you do to protect your business? What is acceptable under the law? The question is what are your thoughts on use of company email to communicate political views, even if to share memes, political cartoons, articles, & or opinions or op-eds? I have an employee who loves discussing politics with coworkers. Should I tell him to stop? Not necessarily. If the discussions are civil and not taking up too much work time, you should allow them to continue. If the conversations are disruptive -- or negatively affecting other employees -- then you should address the situation immediately. But if your employee just likes to talk about political hot topics during lunch and it’s a healthy debate between coworkers, no harm done. The key to talking politics with colleagues is doing so without passing judgment or letting emotions carry you away. What if an employee wants to wear a MAGA hat and I have a lot of Hispanic workers? You have the right to set dress policies for your work place this included any political materials. Again the key is just to keep your policies neutral. Can’t prohibit MAGA hat while allowing a hat from the other side to be worn. How do you balance prohibiting dress related codes to a political figure/ideology vs. 1st Amendment (even if you are a private employer with a dress code)? Remember that the 1st amendment right to free speech is limited in a private workplace. Employees do not have the same protections in a private workplace as they would if they worked for a public entity. So as a private employer you have the right to enforce your dress code unless your dress code in some other way discriminates against a particular group of employees. Again, the key is to keep your dress code neutral and enforce the policy consistently. If an employee is running for office, is it ok for the employee to wear pin/t-shirt indicating such? This is going to depend on the policy you have in place. This is a business decision based on the needs of your company. Remember to take into consideration the amount of disruption the action would cause versus the company morale. But again, if you do want to prohibit this be consistent and neutral. Don’t allow one employee to do it but not another. Should companies take added steps to post policies at locations easily viewable by staff, especially during election time? This is also a company business decision. If posting your policy makes sense because your entire workforce and can see it and you want to post it, that is fine. If you do decide to post the policy, you can and probably should still deliver the policy another way as well to ensure that everyone has access to it. Also, consider having the employees sign an acknowledge form stating that they have received the policy. If someone chooses to be politically active outside of work, can you require them not to wear company logo's, apparel, etc… while doing so? The question is one that may not be a simple yes or no answer. 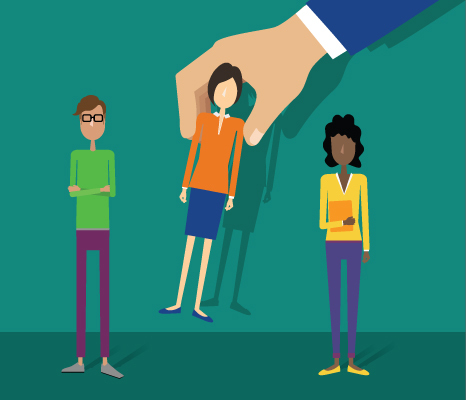 While most employees are at will employees – meaning you can terminate an employee at any time for any legal reason. So it seems logical that you should be able to prohibit an employee from representing the company especially if you feel they are doing so in a way you feel is detrimental to the reputation and/or brand of the company. However, remember that the national labor relations board may limit the ability of an employer to discipline an employee for exercising their rights under the national labor relations act. So if the employee is wearing a shirt with your company logo while protesting working conditions and/or wages for example, you may not be able to prohibit this activity. Also remember that many states may have laws protecting employees from lawful conduct outside of the work place and/or protections for political affiliation as a protected class. These protections more than likely do not apply however if the conduct of the employee is unlawful in anyway or if they are acting in a harassing or discriminatory manner. If you ever have any questions about the appropriateness of a disciplinary measure or termination it is always best to consult with an employment law attorney prior to any action being taken. Can an employer restrict bumper stickers, signs or similar items posted on their vehicles if the vehicle is parked on company property? Again, private employers have a lot more freedom to prohibit items that may be viewed as free speech such as a bumper sticker or sign. But the real question is should you? Is there a business necessity for making such a policy? Are the bumper stickers or signs causing disruptions and/or lack of productivity? How will making such a policy balance against employee morale? If you do decide to make such a policy, it should be neutral and consistently enforced. 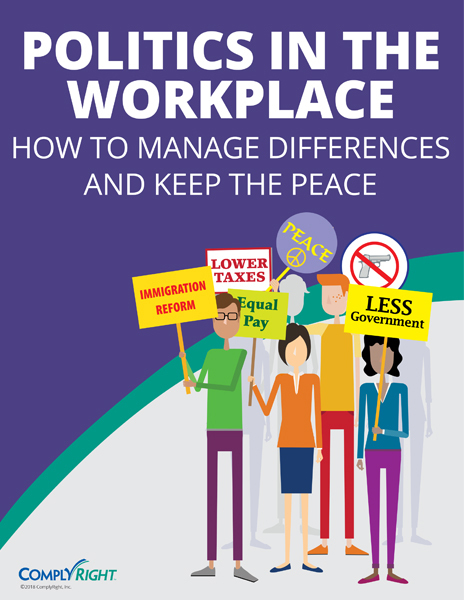 Do the same rules apply for public employers and restricting political discussions within the workplace? No the same rules do not apply for public employers. Everything we covered answering these questions and in the webinar relate only to private employers.